Bitcoin price just pulled off a nice 10% bounce with the next level of resistant at $3,700. Let’s take a look at what can happen next? Bitcoin price 00 dropped to a new yearly low at $3,210 and the overall market cap continues now rests at $110.6 Billion. Clearly, bears are still running the show for BTC and the SEC’s final postponement of a Bitcoin exchange-traded fund decision didn’t seem to help. Crypto-fanatics will now need to wait until January 24th for the launch of Bakkt and February 26th for a final approval or denial of a Bitcoin ETF from the SEC. If the cryptocurrency markets’ trend reversal is dependent upon either of these events then we’ve got a long way to drop waiting on the unpredictable outcomes of each of these events. 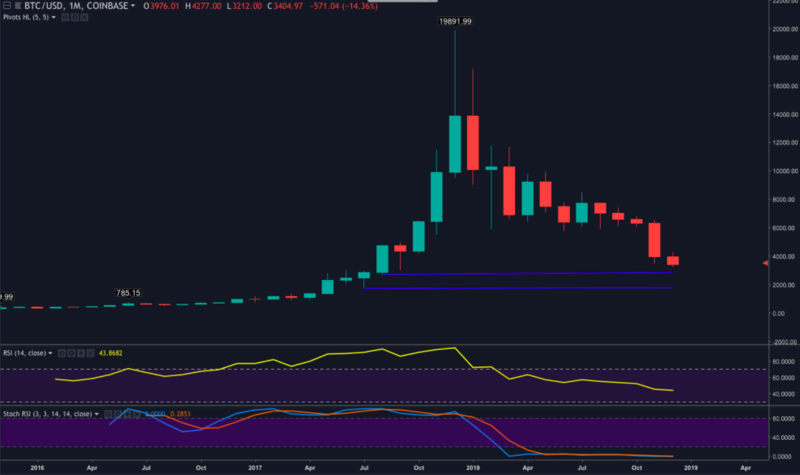 Bitcoin 00 broke below the $3,550 and $3,400 supports and the cryptocurrency will likely mean that $3,700 will post a stiff resistance to overcome. However, at press time, BTC price has managed to break the $3,600 mark and now looks poised to test $3,700. The bounce from $3,210 to $3,615 was pleasant and seems to have caused shorts to cover, but bulls couldn’t muster enough follow through to maintain the move and BTC’s failure to cross above any of the overhead exponential moving averages show bears are still running the show. This is also backed up by the extremely high number of shorts on BTC/USD and the fact that they snapped right back into place after yesterday’s bounce. 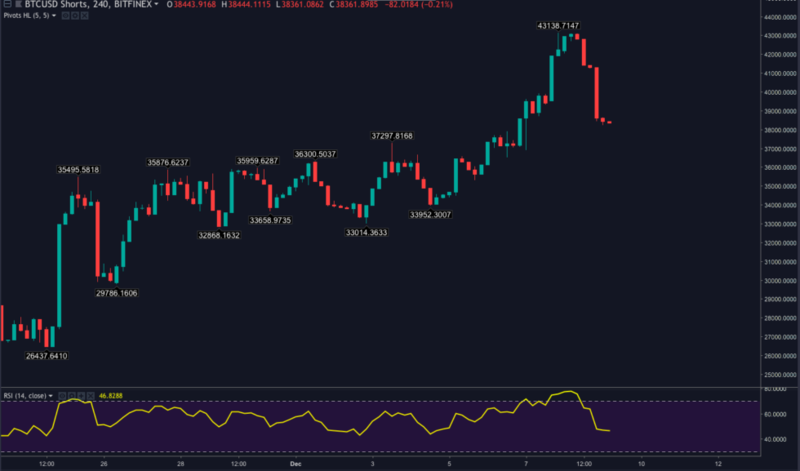 After taking a glance at the daily and weekly RSI, Stoch, and MACD there’s not much positive to say about BTC short-term future. Perhaps the silver lining of all this will be that the bears are uber-confident right now an all-time high shorts can be forced to cover (like yesterday) when Bitcoin pulls off a 10% bounce. In the past, Bitcoin has shown a propensity for weighty 20%+ rallies. A strong upside move would force shorts to cover and provide rapid gains for those trading BTC at the current range. Now for a dose of reality. If bears don’t let up, BTC can drop to 3,000, $2,545, and $1,400. Safe trading friends and please remember to always use a stop loss. More cautious traders might want to wait until Q2 and Q3 of 2019 in hopes of a trend reversal. Where do you think Bitcoin will go over the short-term? Share your thoughts in the comments below!